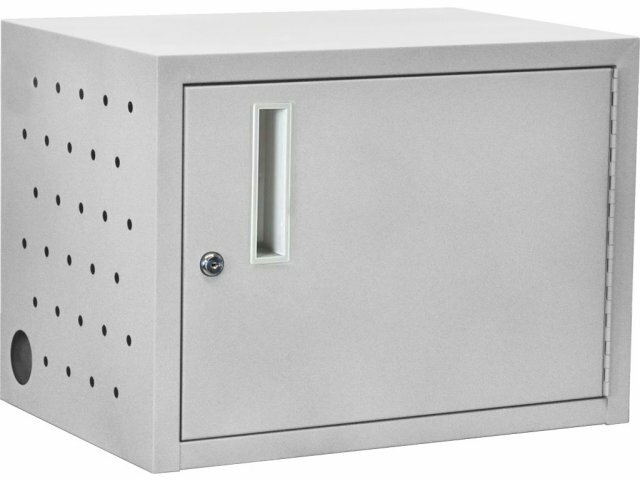 Charge, store and secure your devices in a convenient tablet charging cabinet. This versatile, compact design is perfect for wall-mounted applications as well as desk-surface configurations. The cabinet is built to protect your devices and keep them organized so they are powered up and ready to go whenever you need them. 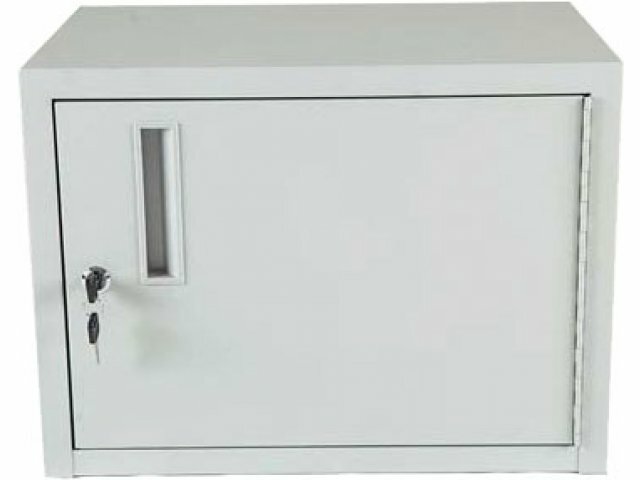 Ipad storage cabinets are ideal for classrooms, offices and training rooms. 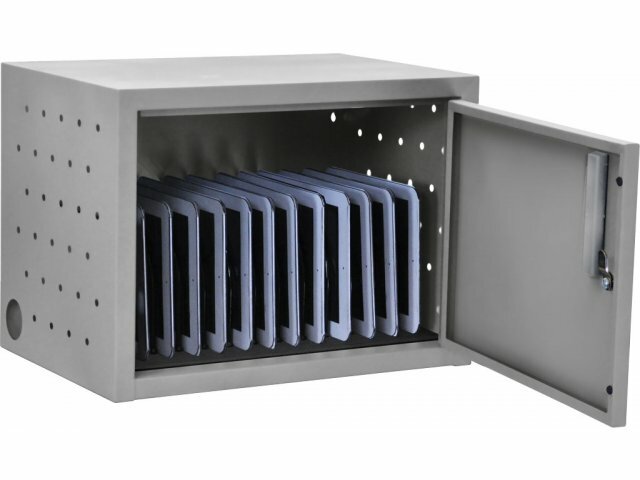 A capacity of up to 12 tablets lets you store all of your devices in one convenient location. A padded interior and rubber-coated dividers keep each Ipad individually fortified, while a 12-outlet power strip facilitates simultaneous charging. Maximize your space and security with a tablet charging cabinet. Versatile Placement: Can be mounted on a wall or stand on a desk. Mounting hardware for drywall surfaces included. 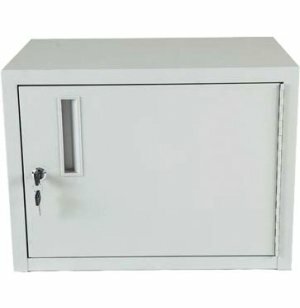 Secure Design: Padded interior and rubber-coated dividers prevent scratches and other damage. 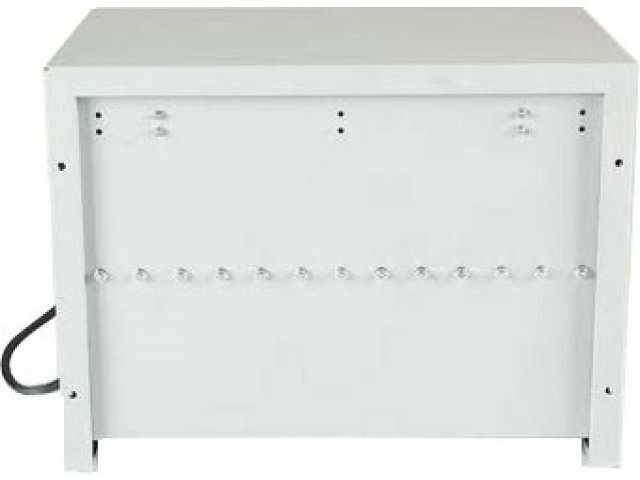 Built-in Charging: Includes a 12-outlet horizontal power strip to keep your devices fully charged. Good Airflow: Ventilated sides prevent devices from overheating. Device Protection: Locking door prevents unauthorized access. Strong Build: Supports a maximum evenly-distributed weight of 30 pounds. No Hassle: Unit comes fully assembled.